Throwing a party, especially a Halloween party, can become an overwhelming task. Between the decorations, invitations and costumes, your holiday party can transform from silly to scary in minutes (and not in the way you want). The point of a party is to have fun and create a festive environment where your friends and family can have a good time. 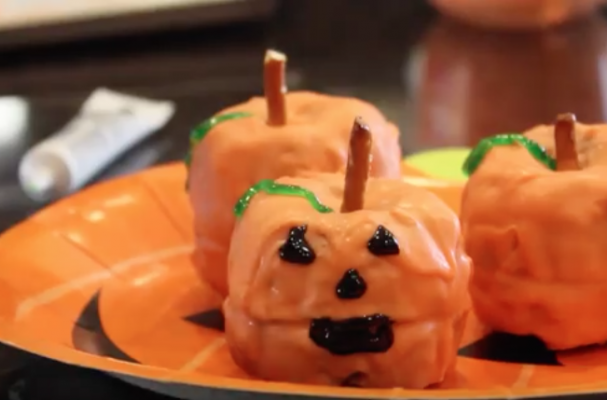 In order to make things easier on you, I present you with four super duper easy DIY Halloween treats that don't require cake decorating skills or a lot of money. The mini pumpkin cakes can be prepared with boxed mix or your favorite recipe using a mini bundt pan. Similarly, the red velvet brain cupcakes can be whipped up in minutes with the help of some practical store bought ingredients. Halloween inspired candy bark is probably the simplest of the bunch because it only requires meled chocolate and your favorite candy. There is even a fun drink recipe at the end that can be converted into a cocktail with a shot of vodka. What are you favorite go-to Halloween treats? Please share in the comments section below.